I have always been an avid user of Autodesk’s 3ds max software. With that I was always a Microsoft Windows kinda guy. All that changed when I got my first MacBook Pro. I absolutely fell in love with the operating system and hardware. I began to explore different 3D modeling packages such as Maxon’s Cinema 4D and Autodesk’s Maya. Cinema 4D has always been an easy to learn package and works great on both Windows and Mac. Since I found myself using my Mac more than my PC, I wanted to find something that worked under both Windows and Mac OS…Cinema 4D does just that. One problem with 3ds max is that it is a Windows-Only package. After waiting almost three years for Autodesk to hopefully port it to the Mac, I decided it would probably never happen. Don’t get me wrong, I love 3ds max’s modeling tools…I think 3ds max has an edge over Cinema in this area. Cinema, however does contain a few tools I think are better than 3ds max. For example, the material editor and the physics engine inside Cinema. I’m writing this article to hopefully make it easier for people who are in the same boat as me…switching from 3ds max to Cinema 4D. If you’re using a version of Cinema prior to release 13, the first thing you’ll probably notice when navigating the viewport is that the orbit/navigation is reversed. To fix this, open up the Cinema’s Preferences under the Edit menu and select “Navigation” on the left. Notice the “Reverse Orbit” option. 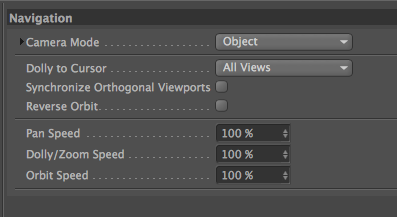 Go ahead and select that to match how you were used to moving around within the viewports in 3ds max. Please note that in release 13, it is now defaulted to deselected and works the same way as 3ds max. One of the great things about Cinema 4D is that you can customize its interface and keyboard shortcuts so that it is fairly similar to that of 3ds max. A few of the big ones I used fairly often was switching between Select, Move, Rotate and Scale. In 3ds max, it was Q, W, E and R respectively. It’s easy to set up this same functionality in Cinema 4D. In Release 13 of the top menu, go to Window → Customization → Customize Commands. In release 12 and earlier, go to Window → Layout → Command Manager. Then find the functions in the list and assign a new keyboard shortcut to them and click Assign. Under the Editable Poly modeling mode of 3ds max, I always thought it was easy to switch from Vertex, Edge, Border, Polygon and Element sub-object modes using the 1, 2, 3, 4 and 5 keys. You can also set this up with matching keyboard shortcuts using the above method. The same goes for any other tools (Extrude, Connect, Weld, Cut, etc). Find the option you’re looking for in the Command Manager and assign them new keyboard shortcuts. Customized keyboard shortcuts are saved to a file called c4d_shortcuts.res. You’ll find this inside your Cinema 4D install directory → resource → res. In Cinema 4D a few of the modeling tools work a bit differently. Here are a few of the common ones I used frequently. In 3ds max, an easy way to create new polygons was to select an edge, hold down Shift on the keyboard and then move the transform gizmo (x,y,z) in the direction you wanted in order to form a new polygon. Unfortunately for release 12 users of Cinema, this functionality is not possible. But release 13 makes this possible using the Control key. Select an edge you want to extrude, hold down Control, then move the axis in the direction you want new geometry, and Bam! you have a new polygon. If you’re using version 12 of Cinema, the only way to extrude edges is with the Extrude function. Make sure the offset is set to 0 in the Attributes Manager, then use the Move tool to position the edge to the desired position. Another powerful tool in 3ds max is Target Weld. With this, you’re able to select a vertex and drag it onto an adjacent vertex and it will instantly merge the two together to create a single vertex. You can do this in Cinema as well. Select a vertex, enable the Weld tool, hold down Control, then click and drag the selected vertex to an adjacent vertex. There you have it…vertex weld. To weld multiple points in Cinema 4D, use the “Optimize” command. You can adjust the tolerance, (or weld threshold/proximity) in the dialog that comes up. If you’re familiar with the Connect tool in 3ds max, you’ll know that you can select two or more adjacent edges and click Connect in the command panel, and it will create a new edge perpendicular to the two edges. In Cinema 4D, the Connect function is identical to 3ds max. Select the edges you want to connect, then select Connect Points/Edges (release 13) under Mesh → Commands. If you’re using release 12 or earlier, it’s under Structure → Connect. If you need more fine-tuning control, you can do this using the Edge Cut tool. 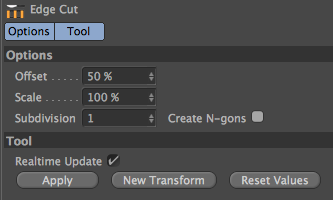 Select the edges you want to connect, enable the Edge Cut tool, then in the dialog make sure that Create N-gons is not selected. Click on Apply, and you’ll see a new edge is created in between the edges you selected. In 3ds max it was always nice to constrain vertices to edges so as to not mess up the flow of geometry. You could “slide” a vertex along an edge to keep it in the same position. In Cinema, you can do this as well using the…well…Slide tool. Select a Vertex, enable the Slide tool, then move it in the desired direction. In 3ds max, it was easy to create a new element from the same object. You could select a polygon, hold Shift and drag one of the axis arrows. A dialog would come up asking if you wanted to make the new polygon an element (belonging to the same object) or create a new object altogether. Creating a new element from the same object works slightly different in Cinema. First select a polygon, then click on the Split function under Mesh → Commands, under release 13. You’ll see in the object manager that a new object was created. You’ll have to move the original object in order to see the new one in the viewport. If you want the new object to be part of the original object (two separate elements), select both objects in the object manager. Under the Object menu of the object manager, click on Connect Objects + Delete (release 13 only). This will make it one object. If you’re using release 12 or prior, you’ll have to click on Connect Objects under the Object menu and then manually delete the original two objects. One thing about Cinema is that it does not have Border and Element modes. This is one thing I did like about 3ds max. Element was nice to quickly select all the polygons touching eachother within an object. In release 13 of Cinema, there is a quick way to do this. Once you enable polygon editing mode, if you have Move, Scale or Rotate enabled, just double click the polygons of the element you want to select. You can also do this by going up to Select → Select Connected. If you’re using release 12 or prior, this is under Selection → Select Connected. By default, in 3ds max, multiple edges/polygons rotate on each individual axis. This is based on the “Use Pivot Point Center” option in 3ds max. In Cinema 4D, when you select multiple edges, it will create an axis to rotate around based off the midpoint of the selected edges. To get this same functionality in Cinema 4D, click on the Rotate Tool, in the Attributes Manager click on the Modeling Axis tab. Make sure Axis is set to Selected, and Orientation is set to Normal. Then check the Along Normals check box. This should emulate the way 3ds max handles multi-edge and polygon rotations. Note that 3ds max still handles it a bit differently. For example, if you select multiple edges that are adjacent or touching each other, it treats those edges as one axis. In Cinema 4D it is somewhat the same, depending on how many edges you have selected and how far apart they are from each other. For the time being, these are the main functions I can think of when making the transition to Cinema 4D. There are still some things I wish they’d bring to Cinema. For now however, I’m content with the workflow. I plan on adding to this article as I discover things about Cinema that I wish was similar to 3ds max. As for now, this is what I have come up with. Feel free to leave your comments below if you can think of anything else that may be helpful to other people and I’ll be happy to add it in. You realy helped me getting into C4D… After using Max for seven years now it wasnt too complicated to get into Cinema, Thanks Man! Dude that’s great to hear! Thanks so much for that! There I have a question, I use an application to do some work. （sorry the application is Confidentially by my company）This app can read .FBX files export by 3ds Max, but it can’t read the .FBX files which export by C4D. I swear I used the same model, and I checked the export setting, totally same FBX(2010) binary, I don’t know why it doesn’t work. I use Mac and I like C4D, but I have to borrow my friend’s Windows to help me every time, it’s make me crazy. Why they are so different between C4D’s fbx and 3dsMax’s fbx, is there any way to let them be cool? Hopes you can give me some advice. I’m also a 3dsmax user and currently trying to familiarise myself albeit slowly with cinema4d. Is there any way to use middle mouse button to pan around a scene in the viewports like max? Also can the Alt key be assigned to rotate around an object instead of the ‘1’ key? Also is there a way to customise the user interface so that the material manager panel is always closed or docked somewhere else? Hey Rich! Yep, to pan around the scene, just hold the ‘alt’ key and the middle mouse button. And to rotate around an object, hold alt and press the left mouse button. In your C4D preferences, under Navigation, make sure Camera Mode is set to Object, and Point of Interest is set to Selection Axis. Yes, the user interface is extremely customizable! You can undock panels and move them anywhere you want. That’s one of the best features I love about C4D! Let me know if you need any help! I feel really heartbroken that I am considering leaving 3ds Max after nearly a decade with them. Undoubtedly the move to subscription-only by Autodesk is to blame for my potential emigration from 3ds Max. I can only hope that Cinema 4D will not be a bad move because I depend on perpetual licensing for a computer that is mostly offline, and also because of my budget. The only other option that I know of is Blender, which in my opinion is so hard to use despite being free. In any case, I really like to return to modelling old trains and motorway interchanges. Honestly, I don’t think Cinema 4D will disappoint. Once you start to familiarize yourself with it, you’ll wonder why you hadn’t done it sooner. Heck, if you’ve got an Adobe CC subscription, you can try out the Lite version of C4D for free. I hear the Lite version is pretty limited however when it comes to modeling. Seriously though, there are so many resources out there to learn C4D. And it’s learning curve isn’t that difficult. And if you’ve used Vray, I would also recommend checking out Corona for C4D. It’s pretty amazing, and only gets better with each release. Forgot to mention, that plug-in will work only in ‘points’ mode. Yeah…I will say that I think 3ds max still has a slight edge over Cinema when it comes to modeling. However, there are other areas where Cinema excels over max. For example, I love how the interface is extremely customizable. And MoGraph is very very powerful as well. It works well, I just tested it. Oh, very nice! Looks like that could be very helpful! And oops, I just realized my mic was picking up audio when I recorded that video! You are awesome!! I’ll try this immediately:) Thanks a ton! Thanks again! Cinema 4D is awesome, I don’t think I’ll ever go back to max again. I just miss few tools. Let me know if you manage to find something on the axis snap. Right now I just go to ‘front’ or ‘back’ view to accomplish this. Still there are few limitations. Is it possible to do this in Cinema? Oh shoot man I’m not sure about that one! Let me try some things and get back to you! Is there a way to ‘axis constraint snap’ like 3ds max? In Cinema you can restrict XYZ to certain axis. On the main toolbar just enable the ones you want to be able to control. If you hold shift while moving your mouse, you can do incremental movements/rotations. There’s also an axis snap feature under the Axis menu on the main toolbar. Does that help answer your question? Thanks for the great post, it’s been a real help for me in making my decision to ditch 3DS Max. I’m another max user who doesn’t like the direction autodesk are going with pushing its perpetual licence holders onto subscription. Some mention of the availabilty of plugins for max has been made before, and being a max user you do get used to having them, especially plugins like itoo forest pro and psd manager, it just makes things very convenient. Is there anything comparable with forest pro for C4D ? Or is there a workaround for creating things such as grass lawned areas, forests or planted areas. How well do you think C4D copes with Arch Vis ? This is the main type of work i do and in 3ds max it makes it all seem very straight forward. I import .dwg plans and elevations, trace over the elevations with splines and extrude for the facades (to strip it down to basics). Could this be done in C4D ? Are there any other tips you can offer on transitioning from max to C4D ? I’m planning on using max for the next year or 2 whilst learning C4D at the same time. Maxon are having a 30% off sale on the 4th may, so i feel now is the time to take the plunge. Fantastic article, thank you so much Matt – I’m a 3DS Max user since rel. 3 Dos (c1995) and when I took a break from 3d (for a good 5-7 years) and came back to 3DS Max, the first thing I noticed was how little it had changed ! Now, with Autodesk becoming more a subscription based software (and driving us Perpetual licence holders to that direction), plus I never trust Autodesk to do anything other than buy software then kill it slowly (aka Softimage etc), I have been looking at alternatives…..
My very first impressions (for someone who is learning the very, very basics) is how slow 3DS Max is to start up ! C4D is like instantaneous and I love how quickly you can switch from one layout to another, almost instantly. It’s a shame, because I am now beginning to see how decrepit 3DS Max has become, it is almost arthritic….. It growns and moans as you fire her up. C4D is by contrast so much leaner and thought out. This is not 3DS Max’s fault – it is a lack of development over 20 years……. it has simply become bloated and too many addons needed. I’d rather not be so dependant on plug-ins and scripts but depend more on the developers to think their own software out and come up with elegant solutions. I do not look to Autodesk for that ! I now look to Maxon. A very quick question – how long did it take you to transition fully over to C4D from 3DS Max ? Hey man thanks a ton for your comment! Yeah that was the big thing with me and 3ds max…it barely changed over the years. Just became more and more bloated and took longer and longer to start up. I feel like it was good for its time, but other packages seem to offer much more. For example MoGraph for Cinema 4D is just so powerful. But anyway, the pros of Cinema 4D still outweigh the cons. To answer your question, it probably took me a good year or so to fully transition over. It’s always hard to get used to the way things work and learning new keyboard shortcuts and all that just takes some time. But seriously, I think you’ll enjoy using Cinema over 3ds max. And the fact that it’s both Mac and PC compatible makes it easier to switch too. That was one of the reasons I switched to Cinema back in the day, was when I got my Mac, 3ds max wasn’t compatible with it. Although now it seems that the Mac is not getting the love it used to… But anyway, that’s a whole other piece of pie I don’t want to get into. Matt I was wondering if you know anything about importing an animated 3DsMax project into Cinema4D? I am combining real live footage with animated 3D footage using the the incredible abilities of After Effects. However, one of the animated objects has been created in 3DsMax and I need to import it to Cinema4D. Is this possible and does it import with all animation properties intact. I am a complete novice to these programmes. Yep, you will need to export the object out of 3ds max as an .obj file. Then you can open the .obj in Cinema 4D. However, your textures will not be brought in. You will have to re-create these in Cinema. Can you tell me what the object is you’re trying to bring into Cinema? Interesting comments but you’re all going down the wrong path here. 3ds and c4d are both ridiculously stupid programs! I remember using archicad with artlantis at about 1998 and it wasn’t that bad except these are not 3d programs. Then 3ds max rolls along and I couldnt help but think why is this software so counter-intuitive and obtuse. Why not follow established conventions? Why not take the best ideas and implement them? Yes you can get things done with 3ds max assuming you didn’t get “BOGGED DOWN” in the process trying to figure out how to make polygon squares! The fact is both 3ds max and c4d despite being the leading software, are both obtuse! They have no vision and there is an obvious chasm between the user and the developer. This not to mention that 3ds max when it comes to working with materials is so ridiculous it defies description – kinda like the u.s. government that does not fix what is a genuinely insane distribution of wealth in its society. What programmes do you suggest if not 3ds Max or C4D? I have heard MODO is a great 3D package as well. If you’re looking for a free open source application, check out Blender! Great post now I know what 3d software to use.. Thanks! This article is that important I’ve printed it out for a constant reference. Dude that’s awesome! It makes me happy to see so many people finding it useful 🙂 Actually yeah, that was one of the other big reasons I switched is because they never ported it to Mac. I think they really shot themselves in the foot by not doing so. Cinema 4D isn’t perfect by any means, but I’ve grown to like it much more than 3ds max. Good article. Im the old user of 3ds max and new C4D user. I agree with your opinions copletely. sometimes I miss Max but C4d is more usefull and powerfull. It encourage me to improve my modelling and animation skill. Yeah I love C4D ever since I switched. It’s been such a great application for modeling and animating. great post, great notes about the both soft. But I have a question. now in 2015 is 3ds Max is much more better for modeling than C4D? Can I model cars or another hard surface models in C4D? Thank you for your comments 🙂 It’s been a little while now since I have written that post, so I’m not real sure what 3ds max has to offer for its 2015 release as far as modeling goes. As far as modeling in C4D however, it does a fantastic job with hard surface modeling. I created the Mazda RX-8 model in my portfolio using C4D. Let me know if you have any questions! Hi, i am trying to migrate to c4d. Do you know how to change duplicate shortcut? in Max is shift + left mouse drag, while in c4d is Ctrl / cmd + Drag. But how do we change it? From there you can change any of the keyboard shortcuts in the interface. Does that help? Glad to see this amazing post still active after years ! Congrats Matt! Well, It’s been a while since I started thinking about using C4D (as a 3dsMax user) for motion graphix and now I would like to make this step. But I must admit I’m a little bite lazy and I just wanted to know if there’s a way to find a .res file online (or anything else: scripts, plugin, whatever..) that could make C4D commands the closest to 3DS ones. Oh my gosh I’m so sorry I am just seeing your comment! Ahhh I feel like a jerk! To answer your question… no, unfortunately there is not a script/plugin (that I’m aware of) that will match C4D commands to to 3DS ones. Sorry man! I think it’s just something you would just have to pick up over time. Again, I’m really sorry for this late reply! Disgrace on Google ffor now noot positioning this publish higher! please can anyone feedback on render times vs quality. at the moment I use vray and although great, you really have to crank up settings to clear any light and shadow noise. results in slow render times for motion graphics, fine for arch vis single shots. What’s the c4d renderes like vs quality and render times. I admit that the single program that I missed on the PC when I went fully Mac was 3D Max… until I found Cinema 4D. Thanks for the tips. Maya has great advantages over 3D Max regarding Nurbs modeling. cool post! , very helpful! … had to switch to cinema just for a project, a bit frustrating at first, but after making these changes, seems like I can figure my around.. thanks for putting this up! is there something like the materialbyelement modifier in 3dsmax for cinema4d? to find the time to delve into cinema 4d. I’m a motion graphics designer with experience in after effects and heavily integrate 3ds max for 3d scenes, elements compositing EXR vray elements. I even use max2ae to scene match cameras and lights into AE. I also work in arch Vis with vray and include tools such as itoo forest and railclone. I am completely tied to 3ds max for this especially after an expensive list of plugins to help. however when it comes to motion graphics using vray is just so frickin slow, and I’ve spent an age tweaking to recommended settings but in my experience, to fully get rid of lighting noise in shadows etc you have to really bump up some settings and render times can result in settings being lowered to meet deadlines and the quality can take a hit. real shame…..
I’d be very interested to hear if c4d render times are like vs quality and noise control. Also would render man be a good option to work with c4d as it’s compatable (3ds max is not). Comments are coming on from 2 years till now, impressive! Im an old 3ds guy who works in 3D/motion graphics industry. Been slowly learning c4d along the way, and with new introduction of cineware, AE integration has become very friendly. Few things I dont like about c4d are in poly modeling and curve editor. On 3dsmax side of things i’m still with 2012 version, cause more recent versions are total mess ) Im not going to leave 3ds completely, nor migrate to macos, but adding c4d to the pipeline will for defs bring benefit to the table. WOW ! RCL thanks from me too. I read your post about three times. Thanks for sharing it. It is fascinating to hear the history, especially for me as I started my career as a CAD engineer using Autocad version 12 around 1992, then 13 > 14 > Mechanical Desktop, Inventor. You could have cut me in half to see I was an AutoDesk man through & through. But having lived & loved “AutoDesk” for so many years of my early career, and having now experienced what Cinema4D has brought to the table,…. It really amazes me that it still sells. It feels like they are ‘supporting’ rather than ‘investing’ in Max simply because of the massive user-base. I wasn’t joking in my previous post when I said “the UI is 20 years out of date”, – I was around 20 years ago using AutoDesk products, – they haven’t changed. and thanks also to Matt for starting this thrilling thread. Let me counter your comments with some indirect generalizations… I have been involved with 3ds Max development and its history since 1985, so I know of it well (when it started as CAD-3D on the Atari|ST computer). >I think Autodesk dug themselves a hole by never porting the software to Mac OS. Sure, they’d have to completely re-write the software, but they’ve had ample amount of time to do this. This is a common misconception voiced on forums for many decades by those who are not familiar with the history of each software package. 3ds Max’s development basically “finished up” around 1994 to 1997 when its framework was cast in stone for Windows. All 3D programs on the market reached their zenith of development in 2004/2005 when the DCC market finally imploded and most programs/companies went broke. The development of 3ds Max was done by a few ex-Atari guys (the Yost Group) who eventually cashed out and left the remains to Autodesk to maintain to the end of time. 3ds Max is, and always will be, a pure Windows program. It isn’t something which would be ported over to Max OSX nor would that make any sense. 3ds Max is the “new generation” of software (post-1995) which was based on the concept of a “empty framework” into which all functionality was defined by third party plug-in modules. Porting to Max OSX would not allow 90% of its functionality to exist, as few SDKs and technologies exist for GNU C on Linux. 3ds Max isn’t something which would just be “ported”, nor would there be any people or money to do it. Any cost of such a sub-port would never be recouped with the little revenue stream Autodesk would receive from a Mac OSX port. This is a comment I’ve seen since I started arguing about Apple II’s in 1997. Mac/Apple people always believe that a software package should be ported over to Mac OSX because that company will make reams of sales. As someone who knows the 3D Mac/Windows market better than most anyone, the Max OSX 3D market is very small. Companies like Autodesk make almost all of their sales from the US, Asian and European corporate Fortune 100 market and not from the tiny DCC/Animation market (this is something that most 3D users have never acknowledged nor been aware of). The Mac OSX market is even smaller than the tiny DCC/Animation market for Windows, and hence why hundreds of 3D companies have all gone out of business since 1995 (3ds Max, Cinema-4D and LightWave have been the exceptions, but only because they are financed by sales through other larger ticket-$$ items which each of their parent companies sell). But there is one simple reality: Cinema-4D has overtaken 3ds Max, LW, Maya and Softimage in the 3D graphics marketplace so why be concerned about porting 3ds Max to Mac OSX when such an event will never happen? Also, if you are not aware of Autodesk’s new business model, they are moving away from desk-top apps and going to a WEB based model for good and known reasons. As of this morning you can now gain access to 3ds Max, Revit, Inventor, etc. via a WEB based portal, so the concept of porting apps to different platforms is a thing of the past. Thanks for your response! I haven’t been involved in the Autodesk community for quite some time so I apologize if my comments are somewhat biased. I didn’t realize their business model is to bring everything to the web in the future. With that, I give them much respect as this seems to be where things are headed. I can see it becoming less and less important to develop for particular platforms with the way technology is headed. I was lucky enough to have some of my corporate budget left, so I bought 3dsMax 2014….. yes I could have downloaded a 30 day trial but the money was a “use it or lose-it” situation. I’ll be honest, I had to reserve judgment (grit my teeth) and force myself to do a few advanced tutorials before I made my opinion. I really wanted to make a fair comparison. 1. The 3DS interface might be dark, but it’s literally 20 years out of date. Loads of lines & boxes around menus, and clunky buttons make it a very cluttered place to work, and very un-productive. 2. The 3DS icons are a real mess. The images bear little or no resemblance to what they represent, and there is no consistency to the color scheme. Im not trying to be an interior designer here, what I’m getting at is using color to associate icons with their category to make their functions more intuitive. 3. The list of modifiers is just a huge long list of words. You really have to know what each of them does. In Cinema, the modifiers all have meaningful icons and names, and they all follow a consistent principle of applying them. 4. zoom pan rotate in 3ds max is far less productive than C4d. I hate the fact that I have to press ctrl+p just to pan. In c4d you just use the keys 1,2,3 (pan,zoom,rotate) in conjunction with your moue/pen. Its SO much easier to jump around the editor. 5. In 3ds linking objects in a hierarchical way is complex guess work. In cinema your project is managed by the object manager, in which you just drag n drop an object onto another one, nesting it instantly as a child to its parent. that make it really hard to see whats affecting your object. I’m going to stop here, because It really annoys me how such a popular program is so badly executed. I’m going to sell the 3ds license, and I will be very happy to stay with Maxon. Sure there are a few things that 3ds does do quite well, but they are insignificant to the overall brilliance, power, and ease of use you get with C4D. Let me end on this note. If you’re into 3D then you are also most likely to be into effects composting as well (eg After Effects). Who did Adobe choose to provide their integrated 3D engine in AfterEffects CC ? …… Maxon Cinema 4D. I hope this was useful in letting some of you make the right choice. Some very good insight here Toby! I completely agree with you on how far behind the 3ds max interface is. The only thing they’ve done over time is make it darker and “sort of” update the icons. I think Autodesk dug themselves a hole by never porting the software to Mac OS. Sure, they’d have to completely re-write the software, but they’ve had ample amount of time to do this. With Mac OS users on the rise, it blows my mind that this hasn’t even been attempted yet. They could have expanded their user base by leaps and bounds had this been done 5 years ago. Just my two cents. I can’t find “connect” command similar to 3ds max, when you can choose 2 edges and move then 90% to make support edges for TurboSmoonth. Hey man I actually covered this in the article. Is that not what you were talking about? Great post, it’s helped a lot, thanks! I’ve recently made the same switch and I’m loving C4D, the only thing that is driving me insane is the material editor, I can’t seem to find out how to copy information between channels or set the output of one channel as the input for another like you can in Max/Maya/Soft etc, I’m also a bit lost on where the equivalent of the Blend material is? Oh, one more thing, the viewport performance is appalling compared to Modo and all the Autodesk software, am I missing a setting somewhere or is that just the way Cinema is? Shoot, sorry I didn’t reply sooner man! Unfortunately in Cinema 4D, it doesn’t have a way to link channel information, that I know of. You might be able to do something in Xpresso. I know you can drag materials into the Xpresso editor… might be worth looking into! For what it’s worth, you can however right-click on a channel, click “Copy” and paste it to another material on the same channel. You can also do this for specific attributes of a channel. I believe for the Blend material, you’d just want to create a Layer. So for instance, if you go to the color channel, click the arrow next to Texture, and select Layer, then click the Layer button to go into that layer. From there you can add whatever you need. Does this help? I haven’t had an issue personally with thew viewport. I’ve always thought it was the other way around! It’s always performed great for me. Of course I haven’t used 3ds max for a few years now, so they may have cleaned up its performance since I last used it. just 5 minutes ago my art director told me to change my first sfw, so i need to migrate in C4d from 3ds max. now i m reading what other people think about and to be honest, i m so sad… anyway never say never and i will be tuned! Hello Matt, I like your article by the way..
but the problem is this tutorial made for 3d max..
thanks before. I really appreciate if u want to answer my question.. Thanks man! Let me get back to you later this evening when I have a little more time! What is your email address? Being a graphic Designer and television Director/Cameraman for years I was one of the few firsts to introduce computer-graphics; both 2d & 3d using main frame and newly born Amiga multi-processor &multi-tasking wonder machine. It was as I recall 1982/83 and Max had just born. C4d even then was most logical & friendly 3d software. Around that time Impulse introduced I3d; a nice program but did not develop further, though it was ported to PC too. Over time due to certain vested interests 3ds has been victim of many cooks just like Draco of Macrosystes, Germany, the first ever pepper NLE ever launched. C4d has been consistent in logical development and it works equally good on both PC as well as MAC. I just love c4d and so do all my students. Hey Matt, thank you for your review, I see you are very talented guy. I stuck about choosing two programs 3ds max or cinema4d. But I see I need to use both of them, to get good job done. I was looking for a job for a while in motion graphics, and lot of employers have a request from me to work with Cinema 4d, not 3ds max, Sorrry for my english. Thank you Robert, I really appreciate that! Thanks your article was really helpful now i am convinced i made the right choices, i just started to learn 3d not so long ago i am a “rookie”, i am on a mac. At first i wanted to learn 3DS max but the all bootcamp thing didn’t really convince me and now i realize that C4D is also a great tool. Coming from 2D is such a crazy complicated world but really interesting . Awesome man glad I could help! It took me a while to get used to Cinema but I’m to the point that leaving 3ds max behind is okay. I’m comfortable with Cinema now 😀 Let me know if you any help! After 3 months leaning in Cinema 4d, here is a conclusion. Awesome! so powerful, so easy to learn, so many tutorials on the web, so fast and reliable (never crash). C4d can make everything come out your mind. here I think u can see the images!! first plz check out these screenshots!! it’s an easy technique in 3d max !!! now i wanna do the same technique in c4d but i cannot control the Axis points (Pivots) here to make it like 3d max! Hey man thanks for checking out my site! Your links didn’t show up that you tried to post. Can you host the images somewhere and post the links to them? Thanks man I appreciate you checking out my article! thank u very mutch . i believe its nice to work with c4d . but in 3ds max life more easy for example modelling rather than c4d . i wish maxon make c4d more easy . thank u again and sorry about my bad english . Is that in c4d, a simple object such as cube is either keep it un-editable or use undo button. I cannot reverse it after I make the object editable? No, once you make an object editable, you cannot go back to its primitive form. I have a simple question in c4d, once I create a cube object, then click c-make ediable, then the cube object turn into Polygon object. However, in Polygon object model, Attributes lose ‘Object’ option for setting segements. Can I reverse the make editable funciton, but not use undo button, so I can switch the Polygon object back to cube object? Unfortunately no, once you make an object editable in C4D, you cannot go back to a primitive and edit its attributes. The Demo version can only rendering at 640 x 480 resolution. After rendering, the rendering picture will lost, and back to normal line scratch, if I use my mouse lick on the rendering picture. It seem that I cannot use C4d demo version to make high end product, it may just for user testing purpose. someone correct me if I’m wrong! Therefore, I make a decision to use Blender which is free 3d software. At moment, I cannot afford a 4000$ C4d. I’ve seen some good results with Blender. Might not be a bad idea to start with something free. If you get into it pretty seriously, I would really recommend purchasing Cinema 4D. I am new to C4D, just download demo version of C4d studio R13, start learning. It seem that there some functions missing in the demo version from the full commercial version? Other than trail period of 42 days, are there any difference between demo version of C4d and full version C4d? I believe the demo version works exactly like the full version. The only limitation is that I don’t think it will allow you to save/export your files…someone correct me if I’m wrong! hello , Im a newbie that starded off with c4d . i once was working with maya but was having hard time with it , was too complicated for me. C4D fullfills my needs and is easy enough arranged so you can get what you want from where you expect . iff you know what i mean :P.
Nice article man , nice article. Yes, I believe Cinema’s learning curve is much easier compared to Maya. Every time I open Maya, I just get scared away by the interface haha. Thanks for your comment on my article! I saw that there are high end video products made C4D on Architecture cars, and the other products. What about use C4d to create realistic Human face, can C4D do great job an realistic human animation? Absolutely! Most 3D packages (max, maya, c4d, etc) are capable of achieving the same results. Check out http://www.c4dcafe.com/. It’s a great resource for Cinema 4D. which software can produce the video and visualization products are more realistic and higher quality, 3d max or c4d? It really comes down to personal preference. All 3D packages are capable of producing realistic results. I don’t think one is necessarily better than the other…just different ways of achieving the same results! Hi, it is sounds easy to switch software from 3d Max to C4d, but any of these 3d software cost about 4000$, not many students can afford it. 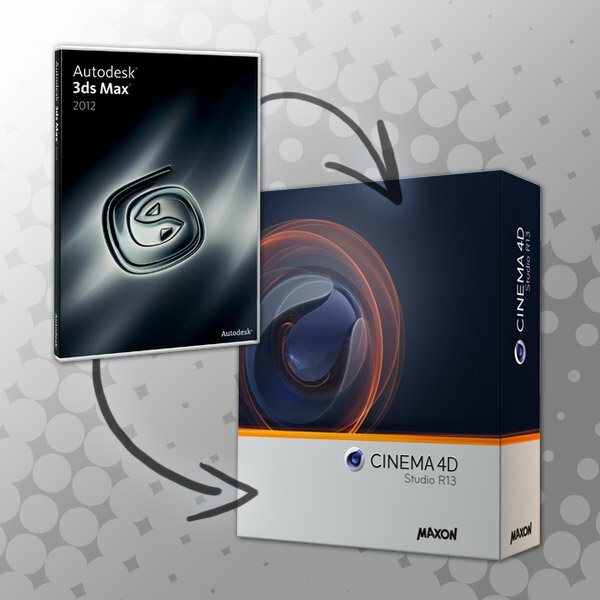 Does everyone just use the trial or demo version of C4d or 3d Max, or buy a full version of them? The current price C4D is about 3600$. How much would cost to buy C4d Studio R13 full version for educational price? Is it possible your C4d software install in more than two computers. Will C4d company’s encryption system stop a copy of commercial version of C4d software being installed on multi-computers? I don’t think it would be a problem to install it on more than 2 computers. If you install it on more than 5, you could run into trouble. Not too sure how closely they monitor that. I bought it 6-7 years ago (version 10.5 Architectural version) and cost me 1050 euro+VAT. That’s way far from any version of Max. im a 3ds max user for almost 6 years… i love 3ds max! but i bought a macbook pro.. so :S NO max on mac i had to switch to another software ( idont like maya) so C4D was my choice.. I kind find some difficulties when modeling.. most of the time I create archviz project. I would like to share my experience :P, please add to the article the translation of a vertex, edge, object…. for example in max when i right click on move tool, a small window opens and let me move my selected object by 50 cm in the X -axis for example. ( translating), well i searched the internet for like 3 weeks and didn’t find it on cinema4d.. but after searching for modeling tutorial on youtube for c4d i did find it. what im searching for it right now is the snapping along the 2.5D.. Thanks Charly, I will add this information to the post! This is one thing I really like about Cinema. For any value, you can append +, -, x, or ÷ and a number, hit enter, and it will update that value mathematically! Pretty slick! thanks for your post, i am a newbie to 3d and just checking which program is best suited for architectural visualization. I have seen Rhino, 3ds Max, and Cinema 4d but still not sure. Hey no problem Cay. Thanks for reading my post! In my experience, there’s definitely a lot more people using 3ds max for architectural visualization. You can create primitives quickly with 3ds max. So if that’s the route you’re going to take, I would suggest getting your feet dirty with it. Rhino is strictly NURBS modeling, which is definitely not suited for architecture. I want to thank you for the post. I have read it several times and it has helped me in a big way. I was a Maya/Max user for many years and have currently found a new studio to work with who uses cinema 4d. I felt a bit lost but thanks to your post I’m up and running with a bit of confidence. So Thanks!!! Well thank you very much for the comment man! I really appreciate that. Let me know if there’s anything I can do to help! But what about interiors and architecture? Am I really better off with 3Ds Max? Honestly, I think they’re both good and you can get some nice interior renders with Cinema just as well. It really comes down to personal preference. I’d say that Allplan and not Archicad would make your day easier for the CAD solution. I’m an old time user of this and i enjoy every new version of it. As for the use with C4D… well, they are on the same company (Nemetschek owns Maxon) and developed to work so smooth together. Now i’m pulling my hair to learn VRAYforC4D because i feel it’s a must also. Though C4D was good enough for simple presentations with a rapid deployment. Yes, the material editor is the simplest i’ve even seen. I have to say that you’ve come over to c4d at a great time really, R13 has really pulled together alot of the final pieces of the puzzle. I’ve used c4d from a motion graphics, illustrator and print design standpoint for many years, and mograph simply made my work a joy, c4d is so easy to learn the basics but has plenty of depth to always improve and refine. For many years, since early versions I have debated the c4d and max differences with my brother who runs an architectural animation firm using max. But I can finally see c4d maturing into a 3d package to compete on any level with the old establishment. Thanks for article, I found it helpful and interesing a lot. I’m on the same way – I want to switch to Mac, so I try to leave 3ds Max. I’m angry to Autodesk they don’t think to port Max to Mac, but Cinema 4d really much better! It’s not easy to change mind to work in other program – now I even go to master-classes how to work in Cinema, that’s funny for me as I have studied 3ds Max by myself, but I think it worth it. Hi, nice article! You can adjust the direction of the extrusion via the options window, Change the angle and Hit apply. How bout the w,e,r for move, rotate, scale? I kinda feel the w shortcut in c4d a bit misplaced to follow the standard navigation. I’m also migrating from maya, since every update autodesk did was just to create the program more chaotic. Also, do you know how do I export these configuration if I have to move it to another workstation to work with? 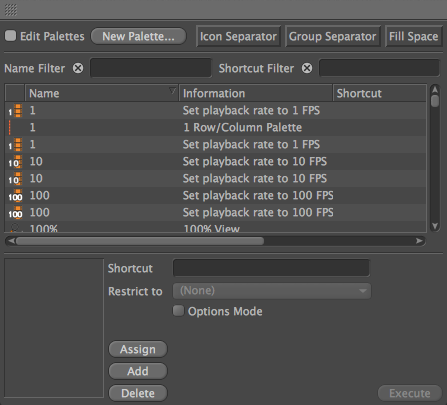 You can customize the Select, Move, Rotate and Scale keyboard shortcuts in the Command Manager of Cinema 4D. This is covered in the article. As far as exporting shortcuts to use on another computer, customized keyboard shortcuts are saved to a file called c4d_shortcuts.res. You’ll find this inside your Cinema 4D install directory → resource → res. Thanks for the article, I’m a 3ds max user over 6 years, now trying not to move to Cinema4d but to learn it. And of course I compare 3ds max functionality and all its modeling possibilities with cinema 4d, and in max there was such a nice operation – weld, when detaching into an element, like for example – polygon and trying welding its vertexes back again using weld threshold. How do I do that in cinema r13? Unfortunately I’m not sure there is a proximity weld function in Cinema 🙁 If I find out otherwise, I’ll let you know! 3dsmax toc4d convert here. Never looked back since switching :). To answer your question, the optimize tool has a weld tolerance threshold which operates in pretty much the same way. For the weld threshold check C4D’s “optimize” command. Most used command after especially connecting objects, or making primitives with caps (e.g. cylinder) editable. Making an object editable means is equivalent to converting to editable poly in Max. You should put more of a focus towards the applications themselves rather than rant about Windows Vs Mac OS. Your thoughts towards either OS are just your opinion and should not interfere with otherwise useful information on each application you are writing about. You make a valid point… I’ll re-write it slightly to be less opinionated toward either OS. Great article Matt! You should start posting more and more in forums and other blogs so this kind of material spreads around. As a long time Mac evangelist I am always happy to see more and more people see the light and switch. And of course it’s nice to see Macs used in so many different applications and lose the creative people only persona. In the 1980’s the print industry started using computers on a daily basis and they chose to use Apple computers because they not only worked, but were reliable. The industry was extremely demanding in a way that the 3d industry is today, thus many continue to prefer the Mac. Thanks Jordan I appreciate it man 🙂 Yeah I posted a link on Cinema 4D Cafe. I should do the same in a 3ds max forum. What light? Yes Apple is a nice product but just because it got the flash and style do not mean everybody should use it. People have different needs. So whether someone uses a Mac, a Linux, or Windows is not the issue. In the end we will all be able to achieve our goals using different technologies. Awesome article man, leaving 3d max and going to cinema is like leaving a jungle and going into a beautiful little garden!! especially for motion graphics people out there.. in my opinion Autodesk should learn a lot from Cinema’s interface and productivity, im still a fan of 3ds max and a long time user but I admit that Cinema made me dump Max for most of my projects! Hey thanks for the comment man! Yeah there are so many things I have grown to like about Cinema. Like the material editor, and just the overall interface. It’s much more up to date than 3ds max. I agree with you that I wish Autodesk would learn from Maxon and update their interface. Autodesk is being really close-minded as well to not port 3ds max over to Mac OS. Who knows…maybe some day it’ll happen. I’ll still use both from time to time, but I’m slowly making my way to Cinema. Re: Max port to OSX…. This will and can never happen in it’s current state. The entire program is heavily built on windows technology – dll libraries etc. They may as well just start again from scratch… which is in part was is happening with 2012 massive re-write of code etc. To be honest I think Max is terrible now a complete mishmash of plug ins and technology. The interface was once simple and pretty intuitive is now a complete jumble of icons ( that change every few years!) and incomplete code. Maya went the right way a while back with a complete re-write and rethink. And C4d is just about perfect regarding interface etc. I don’ think the modelling is as good as max – nor the animation / timeline / curves use but its less likely to drive you mental as max when it comes to scene management.